Screen doors, often called storm doors, allow sunlight and breeze into the home on nice days, and protect the main door from damage during windy or stormy conditions. One of the problems that many people have with their storm doors is the handle. The latch may not catch fully, so the door often flies open, or the latch may be stuck, so it’s hard to open the door completely. 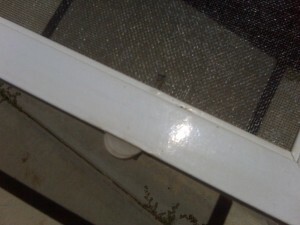 The easiest way to fix a screen door handle is simply to replace it. Remove the hold handle by removing two or three screws in the front of the handle. Once you remove these screws, both the inside and outside pieces of the handle should fall off of the door. Remove the strike plate from the door jam. Use the hole template in your door-handle kit and mark the position for the new handle’s holes. Do not use the same holes as you did with the old handle. Drill 1/8-inch pilot holes completely through the door at the marks you made. Drill 5/16-inch holes on top of these pilot holes to make them larger. Drill half from one side of the door, then half from the other side. Put the two pieces of the new door handle on their proper sides. Make sure that the holes line up properly. Screw in the new screws to connect the two pieces together. Start the screws with your hand to ensure that the threads catch, then tighten them with a screwdriver. 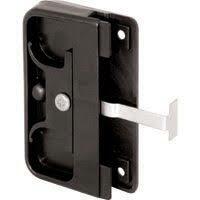 Close the door and set the strike plate in the proper location so the latch catches the plate. Mark the strike plate holes on the door jamb. Remove the plate from the jamb and drill 1/16-inch pilot holes at the marks. Screw the plate in place, but don’t tighten the screws completely. 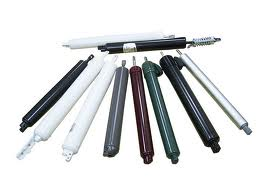 If you have problems with the patio screen door sliding properly, it is probably because these little things called, screen door rollers. 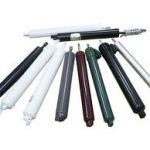 Plastic screen door rollers are the worst wheels for screen doors and if this is what your screen doors has, you will have to eighter deal with them not sliding properly or have them ,. 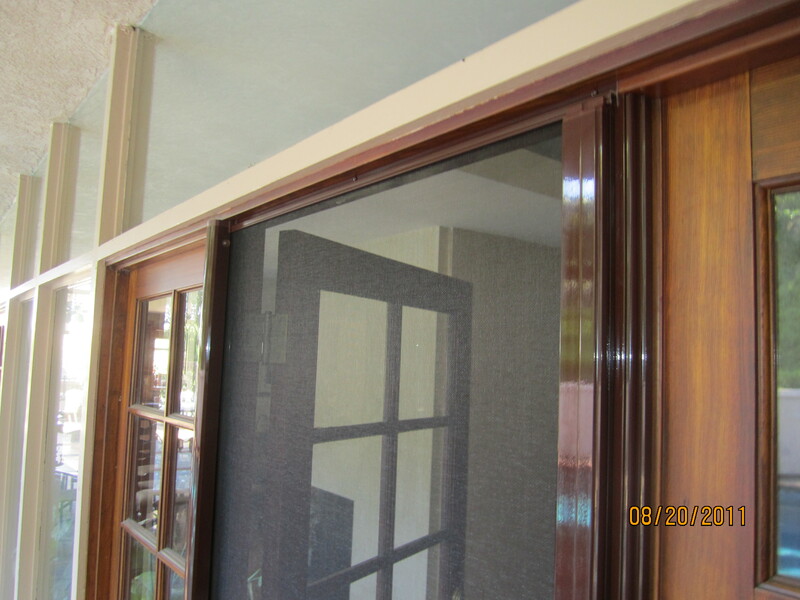 the sliding screen doors to get are the one’s with “all metal parts’ especially METAL ROLLERS. 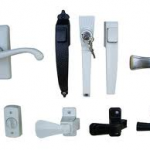 Door hardware problems are usually fixed by a simple adjustment and that’s what we do, some repairs do need to have some hardware replaced but we always let our clients know up-front and with the total cost in writing in advance. We have a catalog with different styles and finishes to choose from. 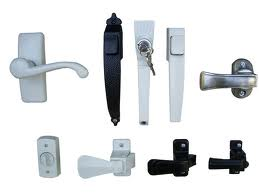 If you would like a quote on some of our door hardware, just email us or just give us a CALL! If you are having problems with the screen door lock it might need to be lubricated or just replaced. 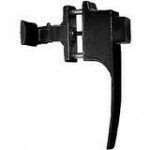 Most screen handles do not work just because they might be to tight or to loose, so try to get a screw driver and tighten it properly and that will usually fix the problem. 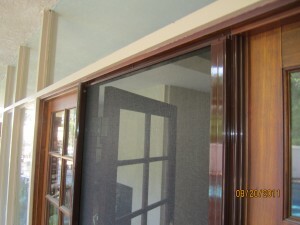 We are a mobile screen company with 15 years experience in screen doors locks and we would be happy to give you a hand. We give estimates at no charge, just email me or a call. 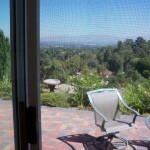 Complete Screens door and shutters is licensed & bonded in California and has over 20,000 satisfied customers. 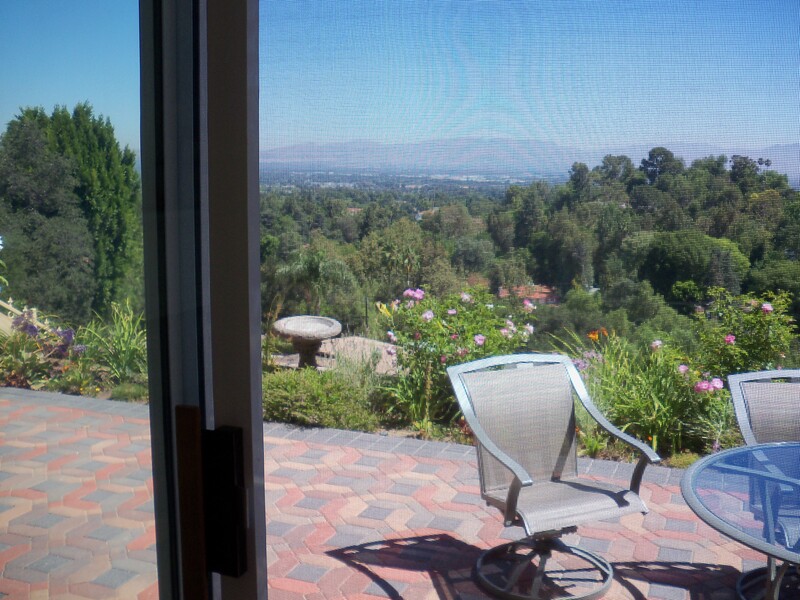 We have been offering free estimates and mobile screen service for Screens Doors in Canoga Park since 1993. 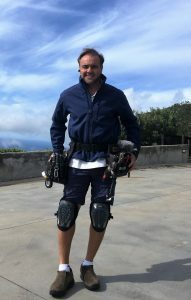 We would love to have you as our new customer!